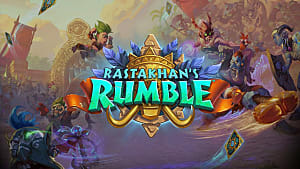 Hearthstone World Championship 2016 has resulted in the match-up between DrHippi (Artem Kravets, Ukraine) and Pavel (Pavel Beltiukov, Russia). 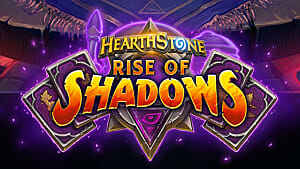 Both players are very young and new to the pro-scene, but they have already managed to get to the top of the competition and beat the best Hearthstone players. 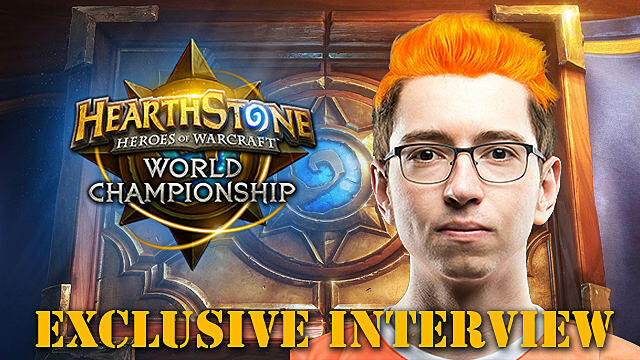 We took an exclusive interview from DrHippi after BlizzCon and asked him questions on his career as a professional gamer, his thoughts on the World Championship and a few other important matters from the world of eSports. So without any further ado, let’s begin! GameSkinny: First of all, please, accept our congratulations on making it into the Hearthstone World Championship Finals. Could you tell our readers how you started your career in professional gaming? 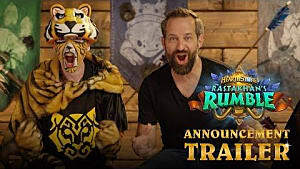 DrHippi: It all began after BlizzCon 2015, or to be more precise, after the announcement of a new Hearthstone Championship Tour (HCT). I’ve never played any tournaments prior to that, so I’ve decided to try it out. In order to qualify for the Winter Season I had to reach high ranks on ladder, which wasn’t a problem at all. Later, I had to travel for the qualifications and made it through -- that is how everything started. GS: Right now many young people all over the world envy your success. What does it mean for you and your family to be able to take part in the World Championship? DrH: My family is very happy and proud of me, and that means a lot to me. Representing my own country, and more than that -- representing my region, sounds great to me, and makes me excited. GS: Let’s talk about the Championship. In the Quarterfinals you faced an American player -- HotMEOWTH. You won the match-up with the score 4-0. Please, tell us, what do you think about HotMEOWTH’s Blood Warrior deck? How surprised were you to see your opponent play such an experimental deck at the World Championship? DrH: I think everybody was surprised to see that kind of Warrior. However, after testing my decks against his Warrior, I had an impression that it wasn’t such a bad choice after all. But the realization of the deck was subpar -- you just can’t learn all the ins and outs of that type of deck in one week, which was noticeable during the match-up. I think the score 4-0 wasn’t the deck’s fault, but the unlucky draws and the lack of experience with that type of deck. GS: I know that your favorite deck is Freeze Mage, but you brought a typical Tempo Mage for the World Championship. Why have you decided against Freeze Mage? Did it really have no chance of winning? DrH: Freeze Mage definitely had the chance of winning, but mathematically, Tempo Mage had a higher chance. Almost every qualifier had Warrior and Druid in their line-up -- two of the worst match-ups for Freeze Mage. You could also see many other Tempo Mage decks and a few Hunters -- three good match-ups against four bad ones. And, since my strategy involved banning Shamans sometimes, the choice of Tempo Mage was the most obvious one. GS: After winning in the Group Stage all players were allowed to change their decks for BlizzCon. Why have you decided to change Control Warrior for Dragon Warrior and Face Hunter for Zoo Warlock? Were you happy with the changes that you made? DrH: After the first week many players would agree that Hunter didn’t do too well. Zoo Warlock, on the other hand, did great, so it was an easy choice. Concerning Dragon Warrior, after testing my personal draft that excluded Ravaging Ghouls and Executes, it turned out to do really well against Druid, Control Warrior and Tempo Mage. I think that my deck did very well, and mind you, it wasn’t the strongest deck in my line-up. GS: It was interesting to see the representatives of the two neighboring countries - Russia and Ukraine - to make it into the Grand Finals. How would you evaluate the playstyle of your opponent -- Pavel, who eventually won the Championship? Was he just lucky or was he really that good? DrH: I can’t say that there were any bad players on the Championship at all. On such high level of gaming, where everyone is almost equal in their strength, your personal skill doesn’t really matter, but what really matters is the preparation, the line-up, the banning, the choice of the first deck, and of course, the luck. I can say that Pavel is a very good player, and he deserves the title of the World Champion. GS: When everything was over what did you feel -- relief or an even bigger desire to come back next year and once again fight for the title of the World Champion? DrH: After the final match-up I was overwhelmed by emotions. I didn’t feel sad or happy, my feelings were mixed and confused. However, a few days later everything became clear -- I strongly wanted to go back on that BlizzCon stage! GS: If you had the chance to play against one of the previous World Champions, who would you choose -- Firebat or Ostkaka, and why? DrH: That would be Firebat -- I really like him as a player and as a streamer/caster. I respect Ostkaka as a strong player and as an ex-champion, but I don’t know him personally, so I can’t really say that much about him. GS: Is there a difference between playing on tournaments and playing on ladder? Many non-professional players say that there is no real difference. Maybe that’s because they lack experience and perspective? DrH: The difference is huge. Ladder is filled with decks you will never see on a tournament, including the decks you plan on banning. I can say that I almost completely ignore ladder before the tournament -- instead I play with my teammates and other good players. GS: You are a member of the Virtus.pro team. How important is it for a pro-gamer to be a part of the team? 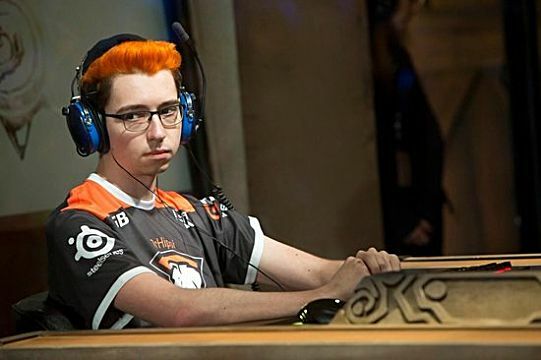 There are professional Hearthstone players that don’t belong to any team and still considered successful. Everyone should do their job -- players should play, managers should solve organizational questions, and the organization should help solve administrative and other matters. DrH: I am a member of the Hearthstone team that is a part of the eSports organization - Virtus.pro. In my opinion being a part of the Virtus.pro organization gives me a huge advantage. Everyone should do their job -- players should play, managers should solve organizational questions, and the organization should help solve administrative and other matters -- all this helps you entirely focus on the game. Besides that, organization guarantees stability. And lastly, you can always call somebody in the case of unexpected trouble, which is just as important. In short, having a strong and stable eSports organization gives confidence to any pro-gamer. 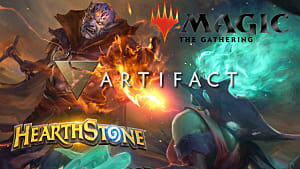 GS: In the recent times you could see some big teams like Archon falling apart, and others leaving Hearthstone as an eSports discipline, as was the case with Na’Vi. What do you think these eSports teams are lacking in order to be able to cooperate with pro-players in the long run? DrH: It is difficult to answer this question. There are lots of reasons for teams to fall apart, and usually, it has nothing to do with the players. I am afraid I cannot answer this question, as I am a player, and I don’t have experience in other spheres of the teamwork. 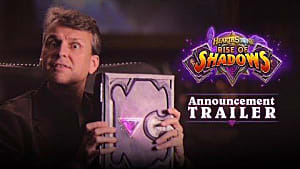 GS: If you had a chance to make up your own Hearthstone team, who would you like to see in it? 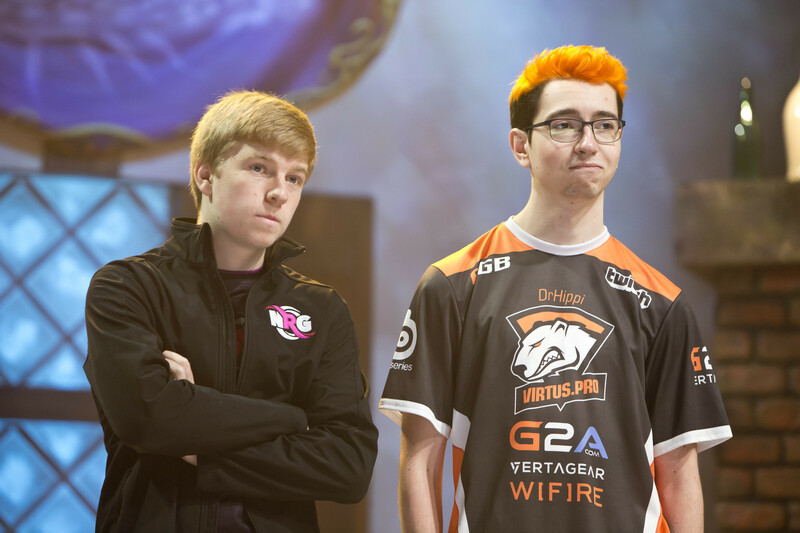 Who amongst the current pro-players inspires you the most? DrH: Without taking into account the current players in Virtus.pro, I would really like to play alongside Firebat -- he inspires me the most. Also, I consider Amnesiasc one of the best players in the world. And of course, another player whose play style I respect the most is Xixo. GS: One of the most important features of Hearthstone is RNG, which makes most players “feverish” to say the least. What do you think about RNG in this game? DrH: Certainly, RNG negatively affects the competitive side of the game, so I would say that I dislike RNG. But we can’t really do anything about it, and I don’t think the game would be as popular without the RNG as it is right now -- it is just so much more exciting to watch Ragnaros hitting a random target or Yogg-Saron casting all those random spells, so we cannot escape RNG. 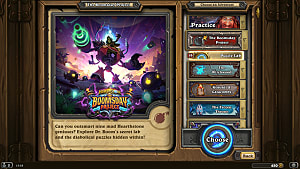 GS: Let’s talk about the latest Hearthstone expansion -- Mean Streets of Gadgetzan. What kinds of mechanics would you like to see the most? What do you think about the introduction of the tri-class cards? And how do you think they will influence the game? DrH: Overall, I like the idea of the tri-class cards. I don’t think it will have negative effects on the game, as it adds certain variety. I personally consider Jade Golem mechanic to have the strongest potential -- it’s just awesome. RNG negatively affects the competitive side of the game, so I would say that I dislike RNG. However, I cannot say the same about the buffing cards of the Grimy Goons -- I don’t think this mechanic will be stable enough to be viable. But if the meta will be slow enough, then this mechanic looks really strong. I cannot say much about the last family (Kabal). I don’t think these classes (Mage, Priest, Warlock) are in great need of the new cards, but some of them do make Reno Mage and Renolock more powerful. GS: What really helps you stay on top of the rankings season after season, and achieve high spots at the international tournaments? 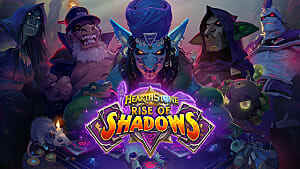 DrH: In order to stay on top of the rankings one has to play well and a lot (which is just as important) with one and the same deck that is viable on ladder. Concerning the tournaments, then here things become more complicated. 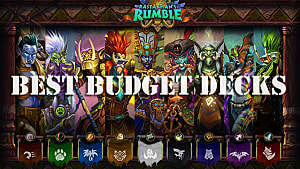 You have to think of your line-up, specific cards in your decks, calculate the meta of the upcoming tournament, and adjust accordingly. If we talk about LAN open cups, then one has to learn to deal with emotions and anxiety. GS: I know that you stream Hearthstone on your own Twitch channel. How does it help you in your professional performances? Is there a need to get used to playing while being watched by hundreds and thousands of people? DrH: Actually, it’s the opposite -- I think that streaming negatively affects my tournament performances, as one has to combine streamings and practicing. Concerning being watched by many people -- I never had any problems with that from the very beginning, even before my streaming career. When I play on the tournament, I feel responsibility before all those people that watch me, and the anxiety can affect my gameplay. So before every tournament I try to stream as little as possible, and this really helps me cope. 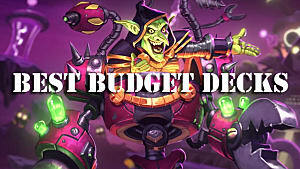 GS: What advice would you give to beginner Hearthstone players with a lot of ambitions? What aspect of the game they should focus on in order to become successful? DrH: I would suggest taking part in various tournaments and watch professional Twitch streamers -- I myself did all that before becoming a pro-player. Also, one shouldn’t get desperate after a few losses, since there is always an element of RNG present in the game, and losing a game doesn’t mean that you necessarily misplayed. GS: Where do you see yourself in five years? Will you keep competing or do you have other plans for the future? DrH: Currently, I don’t have any special plans. I’ll keep playing and streaming Hearthstone -- I like it a lot and I’m good at it. It is hard to say what will happen with the game and eSports in five years. It develops really fast, so the future looks good. GS: And lastly, who would you like to greet or express your gratitude towards? DrH: I would like to thank our sponsors: G2A, Steelseries, EGB, Wifire, Vertagear, Twitch, my dear organization and team, and of course, my fans and viewers, who support me and believe in me. We would like to once again thank DrHippi for taking the time for this interview, and wish him well in the future. You can follow DrHippi on his Twitch channel, Twitter and VKontakte.